When I arrived I was nervous. What would I find? Would the lectures and workshops go over my head? Could people tell how little experience I had in creative writing? Would I find anyone to talk to? How disturbing was my nagging cough? It didn’t take long for those questions to be answered. I was offered more cough drops than I could count (sorry all). The lectures and workshops were fantastic. I met dozens of writers who eagerly exchanged ideas and feedback. 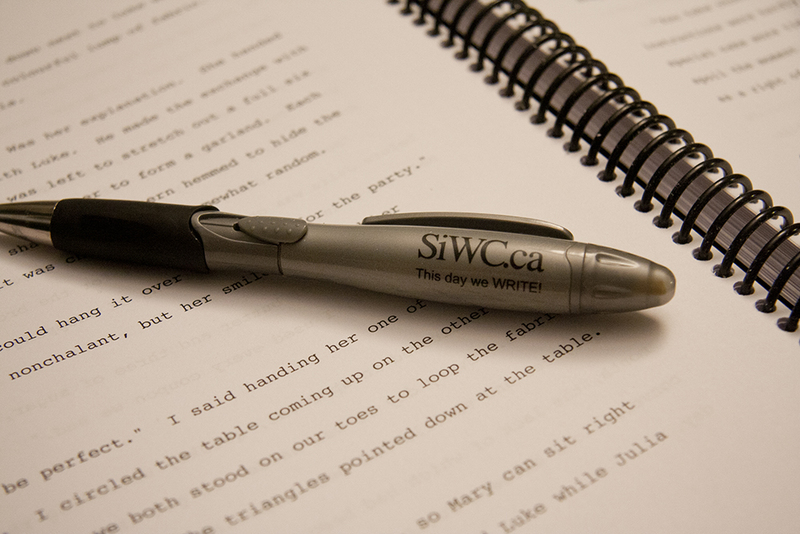 The support I received lent me the confidence I needed to participate in one of SiWC’s best offerings, a pitch session with an actual literary agent. The pitch session felt like riding a roller coaster and letting go with my hands. I was shaking. I had no idea what I was doing. But, I convinced myself that rejection would probably not kill me outright so on I went. She smiled and then read my work while I sat quietly for the longest five minutes of my life. Thankfully the author was generous and honest in her critique (traits that I found common in the conference participants). Her feedback gave me the courage and confidence to go on rather than running from the potential of success. By the end of SiWC 2011 I had two pitch sessions and two Blue Pencil sessions under my belt. I had been accepted and rejected, critiqued and praised and I felt more educated and better prepared than ever before. My fear was wrapped in a pulsing bundle just below my stomach and I headed home to make the best of the chapters I had to send off to the interested agent. Pitching your work for the first time or really for the hundredth time can be frightening. By asking someone else to consider an investment in your work, you are inviting them to stand in judgment of your efforts. However, the necessary evil of a pitch can be a great writing exercise. Developing a pitch can help us find holes in our stories, refine themes and define our audience. Pitching is just another type of story telling and that’s what your good at right? Set aside an hour and develop a pitch for your latest project. Ask yourself the following questions. Why should you write this story – connect yourself to your novel. Who is the main character? Why? What is the main conflict in the story? How is that conflict resolved? When you’re done read the answers to yourself and polish. Consider including an anecdote either from the novel or of what inspired you to write the novel. If you’re not working on a project right now write a pitch for a favourite classic as practice for when you do need to get pitching.